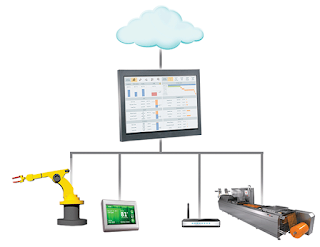 Wonderware: Mobility brief outlook: Why Mobility for Industrial Automation? The need to conduct business operations across time zones and continents. 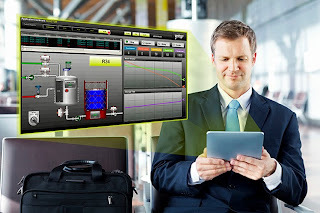 Why Mobility for Industrial Automation? Mobility has changed, and continues to change, the way that organizations operate, and as a consequence, how their employees work. New work styles, driven largely by advancing technologies and the employees who embrace them, have arisen; organizations must adopt policies and innovative technologies to support that evolution, especially regarding mobility. This evolution applies not only to changing work environments but also to business relationships beyond the workforce, such as consultants and partners. Additionally, there are certain vertical markets that require, or benefit from, more mobility than others. Over the next couple of blogs ("Top 4 reasons for considering mobility in manufacturing" as well as "Mobile technology base for use within manufacturing" ) I will provide reasons why you should consider mobility in industrial settings and show how plants can provide employees with cost-effective, secure, on-demand remote access to critical information resources. I will also explore ways in which you can begin to build out your mobile technology base for use within manufacturing. Sign-up to get your The Wonderare HMI/SCADA Times at http://situation-awareness.com/ news on your favorite device.